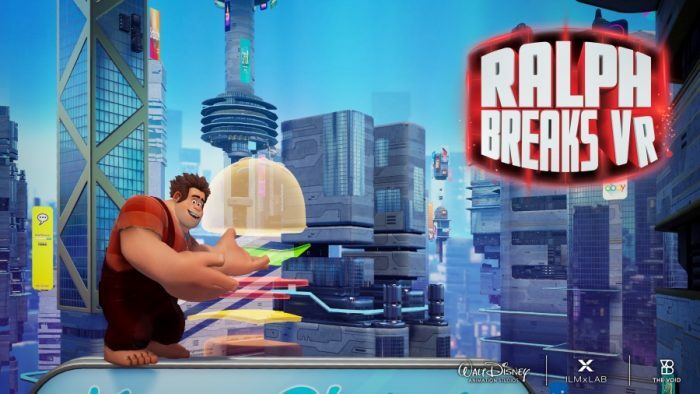 Pre-sale tickets are now available for Ralph Breaks VR, a multi-sensory, immersive experience that will launch on November 21. You can order your tickets online at www.TheVOID.com. This will be the second hyper-reality experience offered at The Void locations found at Disney Springs at Disney World and Downtown Disney district at Disneyland Resort. The other experience is Star Wars: Secrets of the Empire. The new virtual reality experience takes a team of four and immerses them in the world of Wreck-It Ralph and Vanellope von Schweetz disguised as characters from the film called “Netizens”. Two brand new locations, Dunderdome and Pancake Milkshake Diner, and a new antagonist, B.E.V., which stands for “Built to Eradicate Viruses,” are introduced in this experience. Are you excited to try this new VR experience? If you’re curious about doing a virtual reality game, you can read Editor Deb Koma’s experince at Star Wars: Secrets of the Empire here.